As a baseball fan, I was disappointed to see the news from last week that Chicago White Sox slugger Adam LaRoche was retiring at age 36. LaRoche seems to be one of the truly good guys in the game, an unashamed and exemplary Christian role model whom I had hoped to see rebound from a tough 2015 season. When I first heard of his decision, I chalked it up to age and injury taking their toll. My disappointment for LaRoche turned to shock when my phone buzzed with a news alert revealing the actual reason for his retirement. 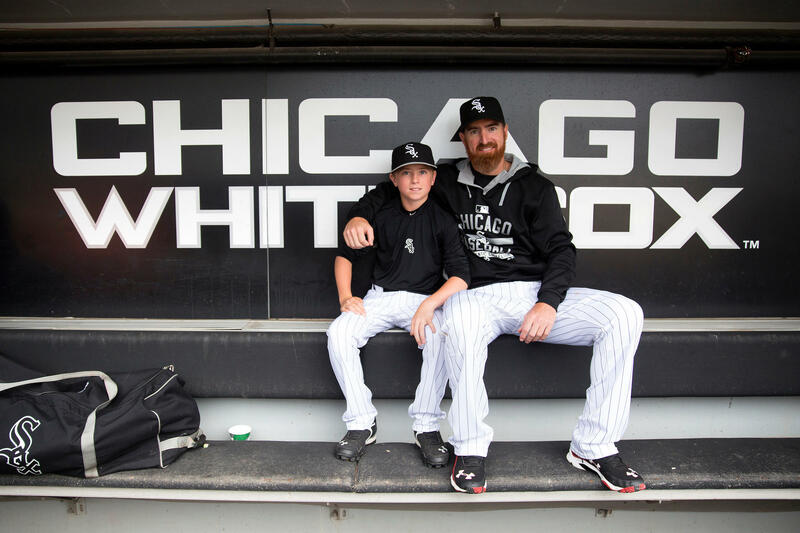 Baseball fans probably know by now that White Sox executive vice president Ken Williams recently asked LaRoche to dial back the clubhouse presence of LaRoche's teenage son, Drake, who had his own locker and was reportedly with the team for 120 games last season. LaRoche viewed the request as going back on a an agreement made before he signed his contract with the team last year, and he decided he would rather retire than play under that modified arrangement. LaRoche invoked his Christian faith when explaining why he left the game, saying it had led him to choose his family over his career. Prominent baseball writer Bob Nightengale of USA Today has since predicted that faith-based groups will surely be reaching out to LaRoche now to have him share more of his story. So is Adam LaRoche a modern-day hero of the faith? Did the team unfairly go back on its word? Does this story speak to the work vs. family tension so many of us face? 1. Let's neither lionize nor villify. New details of this controversy seem to emerge daily. It's awfully presumptive to judge from the outside whether either side has played the role of hero or villain. It appears both had legitimate interests that were simply at odds in ways neither could have fully predicted when LaRoche signed on with the White Sox. Some of the team's players, including star pitcher Chris Sale, have accused Williams of going back on his word and even lying. Other players, though, reportedly complained to management about Drake LaRoche’s near-constant presence, so Williams had to at least try to address those concerns in the interest of team harmony. 2. Don't make LaRoche's decision mean more than it does. “God bless him,” veteran Christian sportswriter and former professional athlete Ted Kluck said when I asked him about LaRoche. “He had the right to do what he did.” Kluck also acknowledged that it was “a really special thing” for LaRoche and his son to enjoy the unusual and gracious arrangement the teams for which he played had allowed over the past few years. That said, in spite of the praise LaRoche has received from fellow players for putting family first, Kluck doesn't believe Christians should rush to anoint LaRoche a hero. That's because he doesn't necessarily see this situation as a statement on the quality of the now-retired player’s fatherhood. 3. This saga has little to do with how most of us are called to live out fatherhood. 4. Pray for the good that can come from this story. The acrimonious divorce between the White Sox and LaRoche has not been a good example of conflict resolution. Some say the team waited too long by not addressing the issue until spring training. Others believe LaRoche was too stubborn in reportedly continuing to take his son to the park every day even after Williams had told him to scale it back. All that aside, teammate Adam Eaton was quoted in USA Today as saying, “I think a lot of people have stepped back and said, ‘If a man can step away from $13 million for his family and son, what does it take for me to spend a little more time with my kid, or take a little more responsibility for my family situation?’” If that is really happening, let’s praise God and pray it continues. 5. Remember why this drama resonates. Ultimately, Kluck says this story has resonated because so many of us are eager to ground our identity and hope in both of the main factors at play: family and career. But the deepest, most-satisfying-by-far hope can only be discovered when we find our identity in Jesus Christ and his gospel. Once the Spirit of God is at work in our souls, how we work out the specific, non-moral details of our lives is generally a matter of conscience—important, but secondary. Seen from this perspective, why would Adam LaRoche be much concerned with giving up $13 million? He already has eternity.